In the marketing industry, first impressions matter. It’s about presenting your brand by showing your best possible side before customers can get down to discuss your previous case stories. And that’s exactly why you need to hire the best local experts if you want your marketing agency to have any bragging rights on the market. But it isn’t all. Your online presence, your branding strategy and the way you pitch your offering to clients play a significant role in business growth. Do you know what else matters? The ability to create an offline address that people can’t stop thinking about. 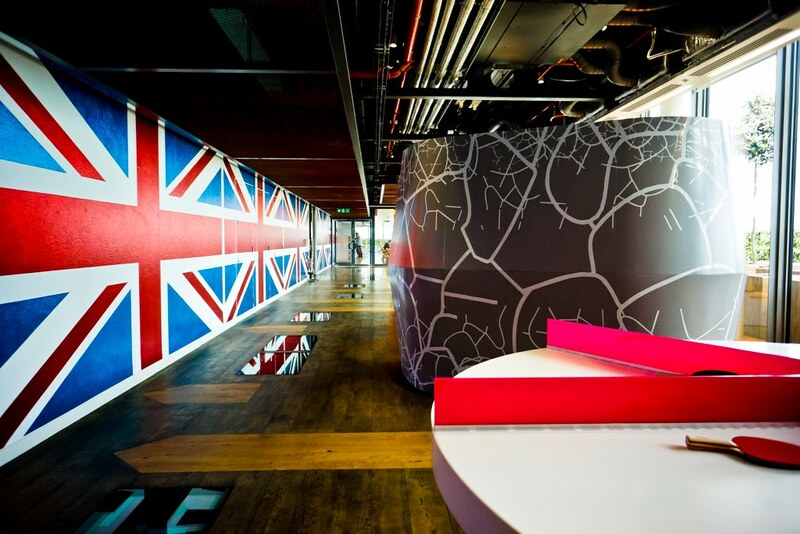 If you’ve seen pictures of the Google’s office you know exactly what we mean: How do you brand your location for success? The best way to brand your location is to share it with your potential customers. If you haven’t heard of Google My Business before, it’s time to wake up and catch that train before it leaves without you. Google My Business is a platform that communicates with Google Maps and enables businesses to share their office address on the map so that local users can find you easily. There are plenty of advantages to using GMB, starting with advertisement edge, as you can use your Google map presence to actively show adverts to local users only. Have you considered that your offices may not be ideally located? At the core of marketing agency success, there’s the essential client meeting that can make or break a deal. Now imagine that in a crammed office at the end of a cul-de-sac. Not as impressive as you wanted it to be? Right, then it’s probably time to organize an office move. Get a storage facilities plan for the duration of the move: First of all, you may not want to bring all your furniture to the new office, and more importantly, you’ll need to get the new workplace prep’d before you can move it. As a rule of the thumb, central town offices tend to perform best. That’s because they’re easy to reach! A business that gives back to the community is a business that automatically receives free, local advertising in the shape of words of mouth. It doesn’t take much. You could offer your marketing services for free to local charities — you can help them to manage their advertising online with Google Adwords for charities, for instance. A marketing agency needs to present a creative and innovative side at all times, and that includes your office decor too. The right decor can improve productivity for your teams, but it can also turn a client meeting into a client deal. Painting your meeting room yellow, for example, can stimulate creativity and create an optimistic environment to discuss a pitch. If you want to add a passionate accent, make sure to bring some red-colored items to the decor, such as cushions, mugs or even the carpet. For a perfect mix, you can get inspiration from the Google’s offices that combine yellow, blue, green and red. Branding your location for success is not new in the business world. But the digital revolution has driven the focus away from your physical situation. It’s time to invest in your street and your desk improvements!